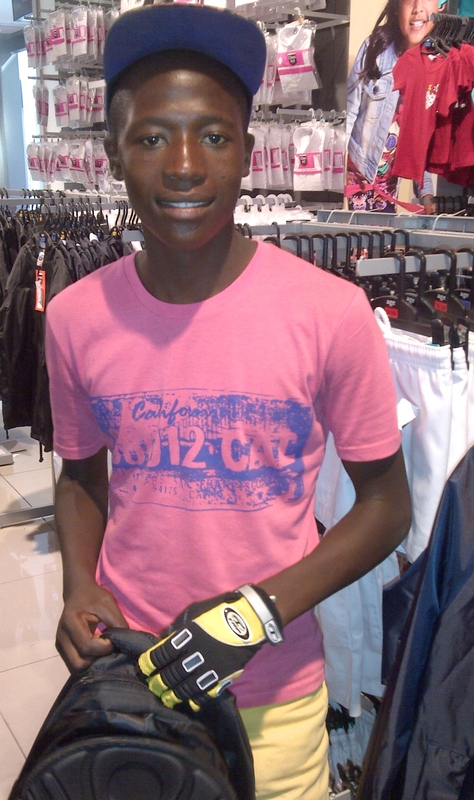 Thulani selecting a book bag for grade 8. The long summer school holidays which commenced early December are almost over. Government schools reopen on Wednesday and college and university classes commence over the next 2 weeks. 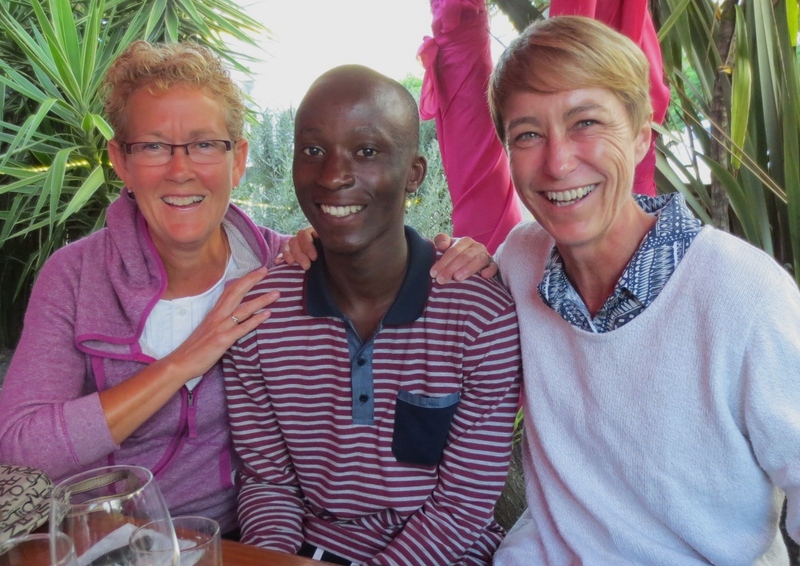 Daniel and Pride returned to Zimbabwe a few days before classes resumed at their respective boarding schools on January 14th. 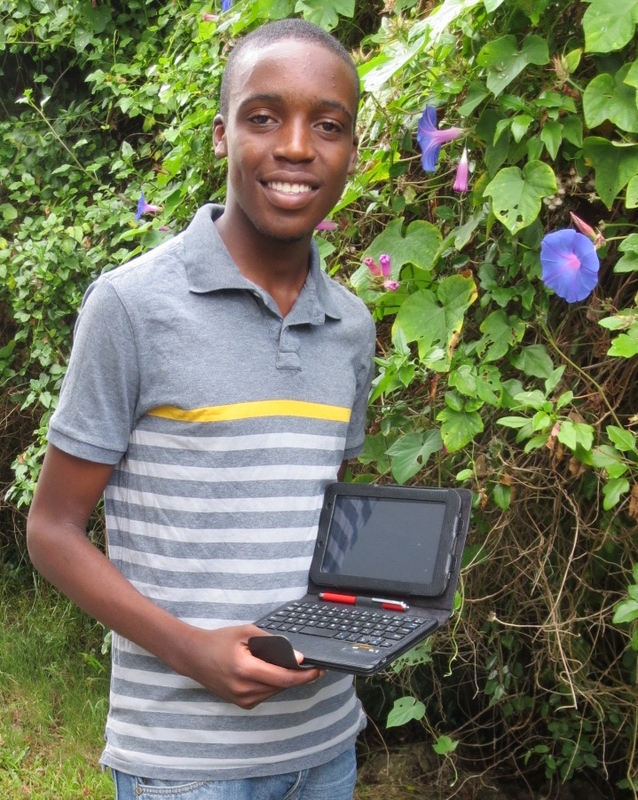 Thanks to the donation of a minimally used tablet from a Canadian couple, Daniel is now able to access the internet while at school. On Pride’s final night in Knysna, we joined our good friend Sandy for dinner at a popular local eatery. Sandy is the Director of TSiBA Eden College which provides an entrepreneurial bridging and skills development program for disadvantaged youth. This is where Jim originally volunteered when we started visiting South Africa. Many of you may remember reading about Ace over the past 2-3 years and how he lived in a shack without electricity and had been on his own since age 15. 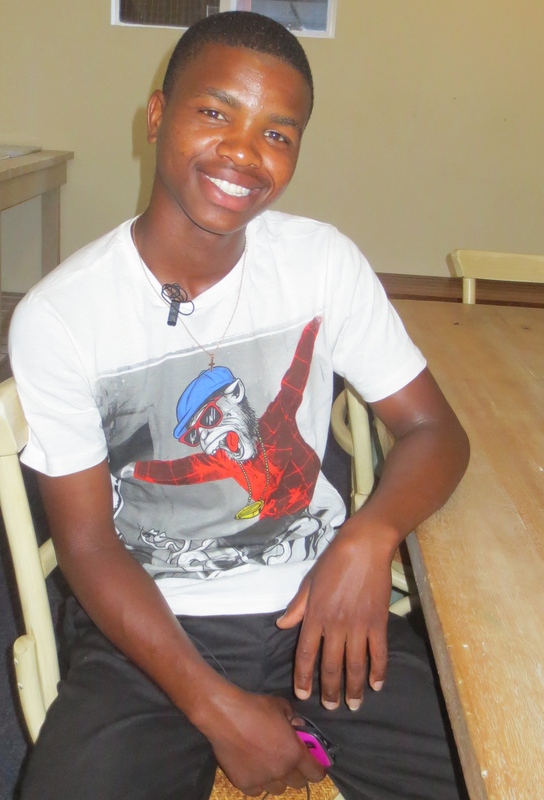 After completing high school in 2013, Ace took a gap year and worked at a restaurant and volunteered his time to tutor primary school children in math. 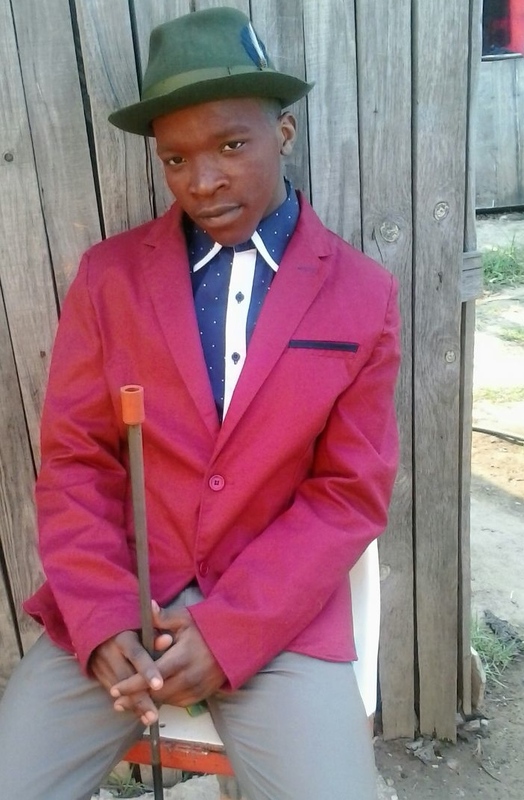 He was recently accepted at Nelson Mandela Metropolitan University and will now start studying to become a high school teacher. Getting to this point was not easy for Ace, however it may never have happened without the financial support provided by a number of our Canadian donors. Thank you! 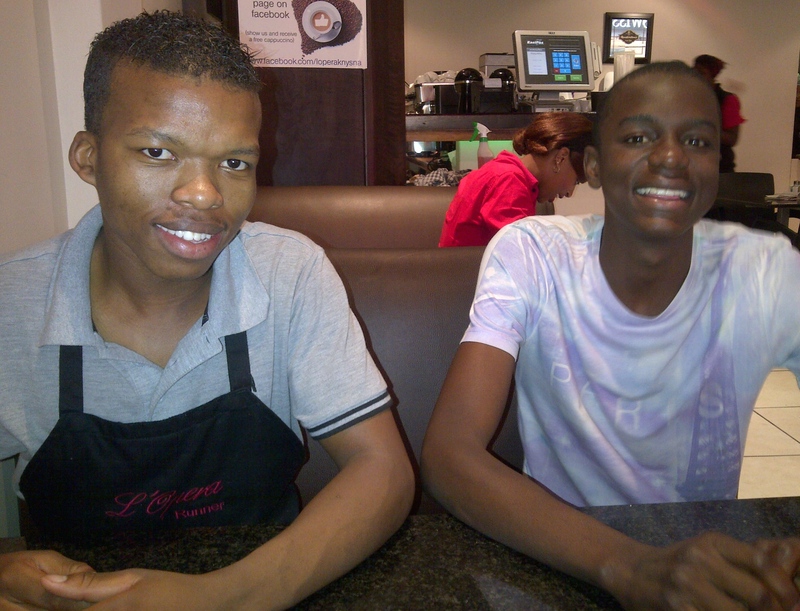 Aphiwe and Kudzai both graduated from high school in December and departed Knysna yesterday for the 14 hour bus trip to Johannesburg to register for college. The majority of black youth we deal with are from the Xhosa tribe, hence they are amaXhosa. In the Xhosa culture, initiation into manhood typically occurs when boys are approximately 18 to 20 years of age. After ritual circumcision, the initiates (abakwetha) live in isolation for up to several weeks, often in the mountains. (source: Wikipedia). 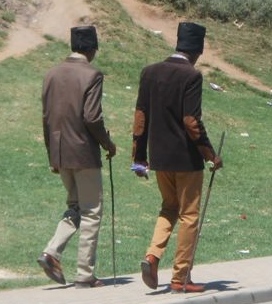 When the initiates return home, they must dress like a man (see photos) for 3-6 months. 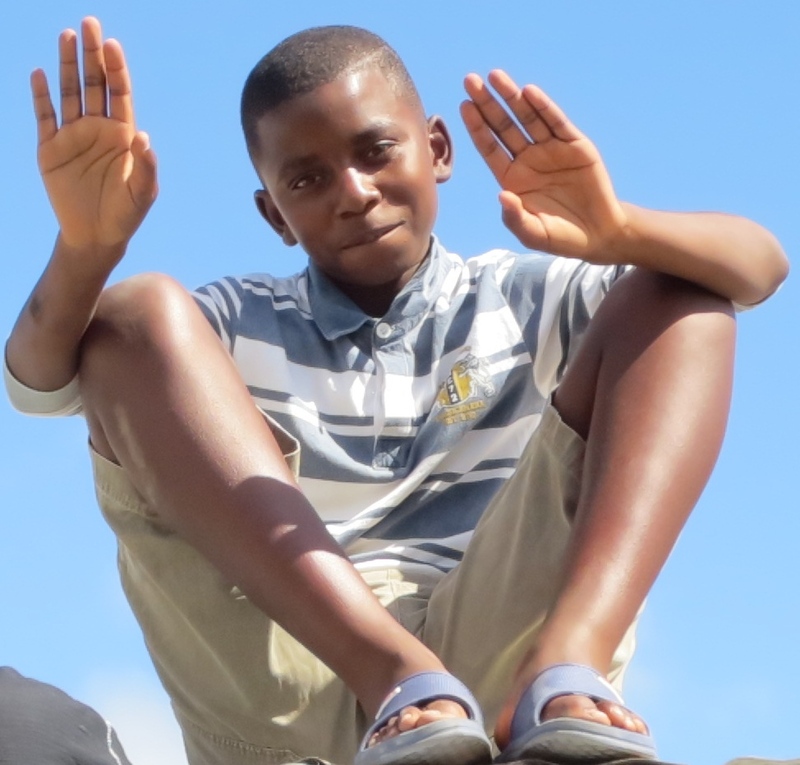 Since December is a common time for boys to “go to the bush”, many have recently returned home and can be seen walking on the streets of Knysna. 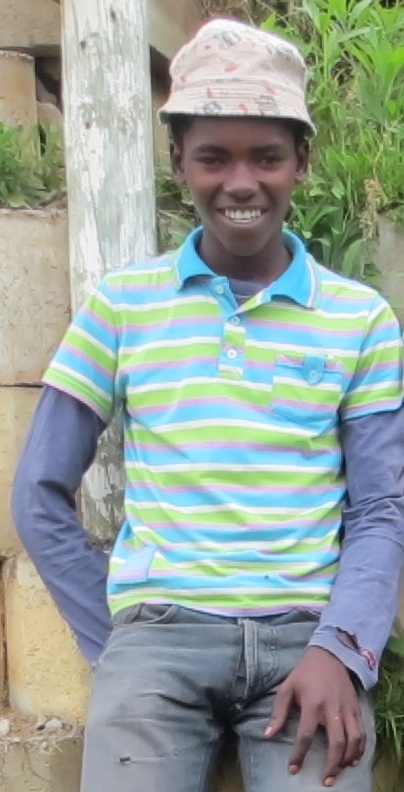 Jim has been working with 3 boys (Melvin, Acona, Yanga) who dropped out of grade 9 last year, and it is hoped that all 3 will be permitted to return to school this week. In each case, the boy along with a parent or Jim must meet with the Principal and argue their case. Janet remains busy tutoring high school math and English, and recently worked with a university student who is studying Forestry! Some youth return to the rural areas to visit family during the summer holidays, but many remain in Knynsa and want to adhere to their tutoring schedule. Janet’s newest student is Thiso.